NEW YORK (Forex News Now) – The pound slid against the dollar on Thursday, erasing some of Wednesday’s gains, after a report showed that U.K. construction activity in August grew at its slowest rate in six months. 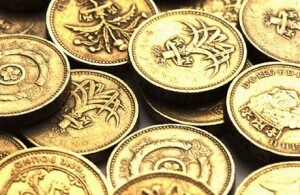 In European morning currency market trading, GBP/USD struck 1.5398, down 0.36 percent on the day. The Markit market research group and the Chartered Institute of Purchasing and Supply index said their closely watched index of British construction activity, based on a survey of purchasing managers, fell to 52.1 in August, down from 54.1 in July. Analysts had expected a more modest decline to 53.5 in August, two realtime forex news outlets reported. According to GBP USD analysis, GBP/USD was likely to touch support around Tuesday’s low, 1.5327, and encounter resistance around the high of Aug. 26, 1.5597. FX traders, meanwhile, awaited key U.S. employment data and an interest rate decision by the European Central Bank and. Elsewhere, sterling slumped versus the yen: GBP/JPY traded at 129.7, down 0.61 percent, according to intraday analysis.